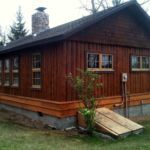 Log homes built using vertical logs can develop rot and require different restoration techniques than those built with horizontal logs. Over the past 40 years, Edmunds & Company has developed a couple of ways to handle this type of repair. One way is to replace the entire vertical log. This means cutting out the rotten log and replacing the entire height of the log. 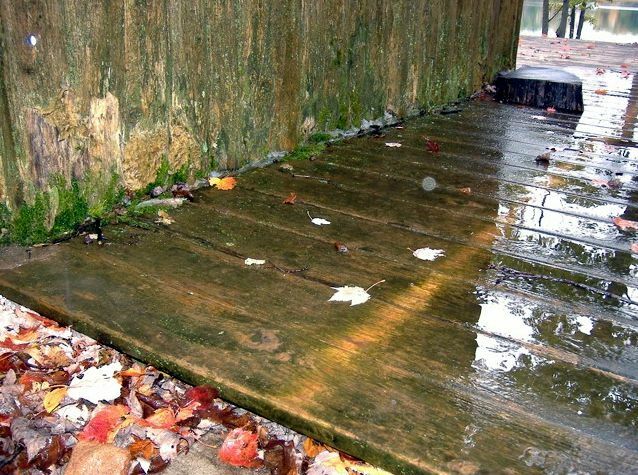 Depending on the extent of rot, this can be a costly repair. 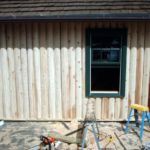 To keep repair costs down, we developed another way to fix the problem of rotten vertical logs. 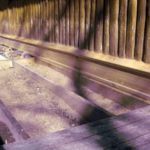 This is accomplished by essentially cutting off the bottoms of the logs to remove the rotten section and putting in a log or cedar “lumber sill”. It gives the house a bit more “freeboard”, i.e. gets it up off the ground. 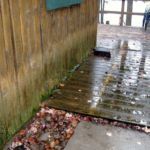 This is important because when water continually splashes off the ground or some other surface onto the section of the logs closest to the ground, it often leads to rot. 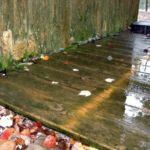 If there is more “freeboard”, the lower logs are better protected from damage due to splash back. 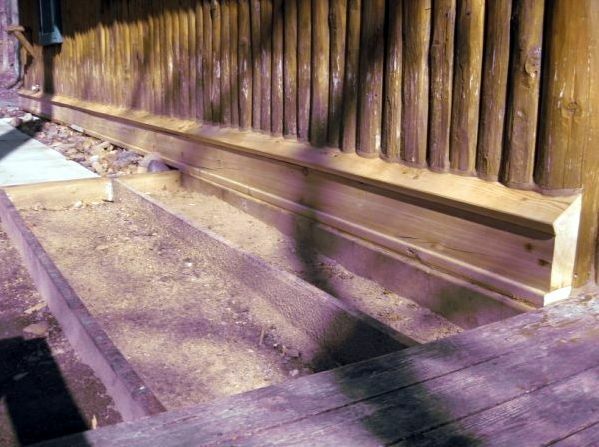 This is an example of the “lumber sill” solution to repairing rot at the bottom of vertical logs. Here we begin the process of replacing the rotted vertical logs from top to bottom. 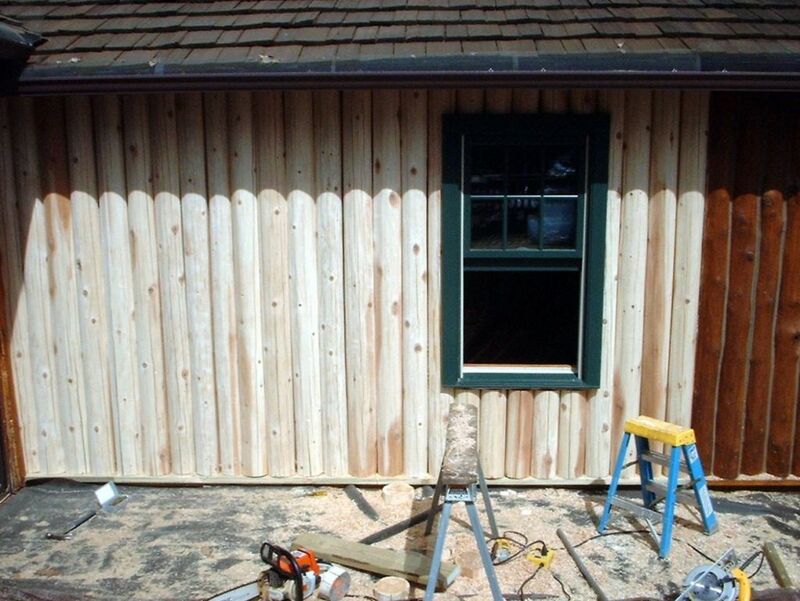 Project complete; logs installed and stained to match. Water splashed on these logs and rotted out their bottoms. 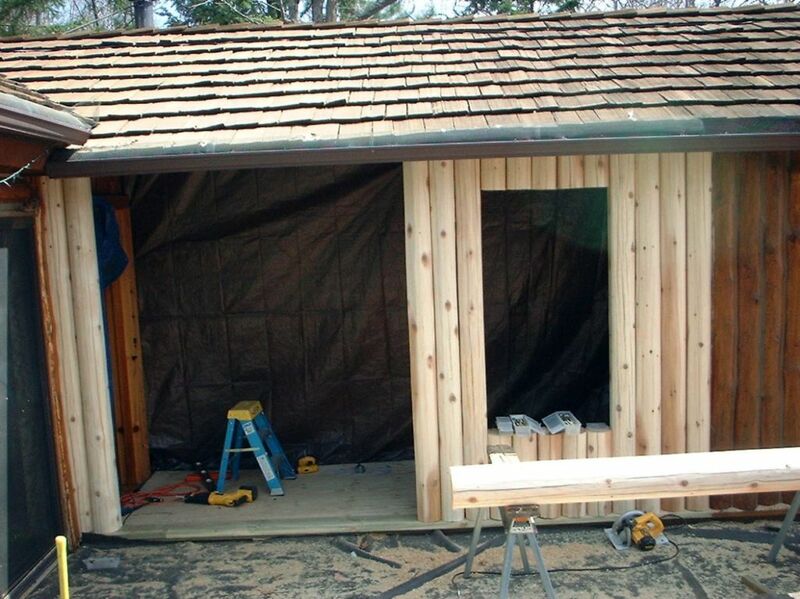 We finished the installation of the logs and they are ready for staining. Moss on logs is not a good sign. 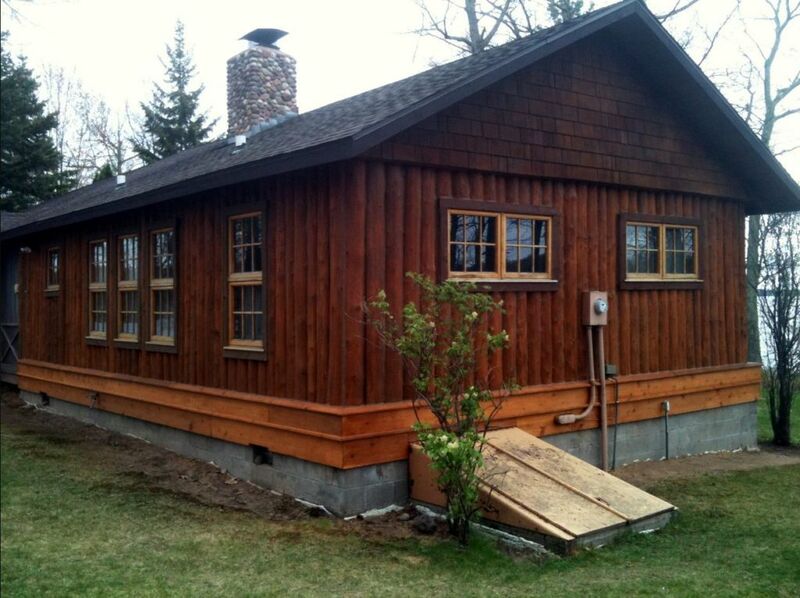 To restore this log home, it required using both techniques mentioned above. Some logs were close to the deck while others were up higher. We have worked with a number of customers to complete this type of repair. These are unique buildings that require unique solutions. 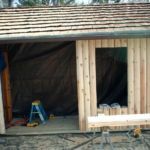 Edmunds & Company can find the right solution for your vertical log home. 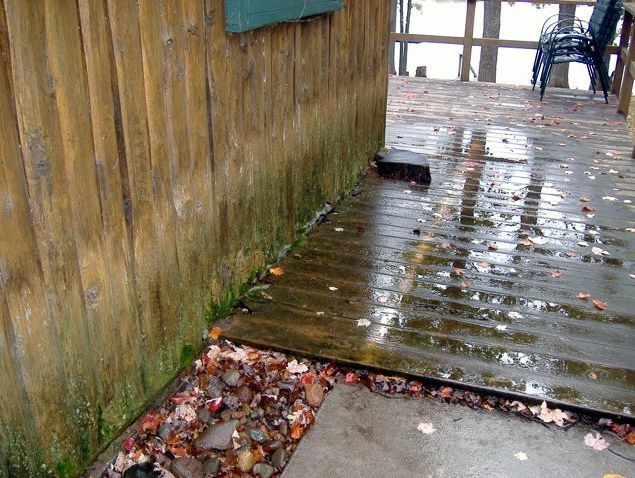 Give us a call to discuss your cabin and how this type of repair might be something for you to consider. 715-373-5744 or contact us.